Penny Joel is an experiential Jewish educator who serves as the Director of Experiential Jewish Education at the Pardes Center For Jewish Educators and Coordinator of the Pardes Experiential Education Program. Penny also teaches at numerous educational institutions. 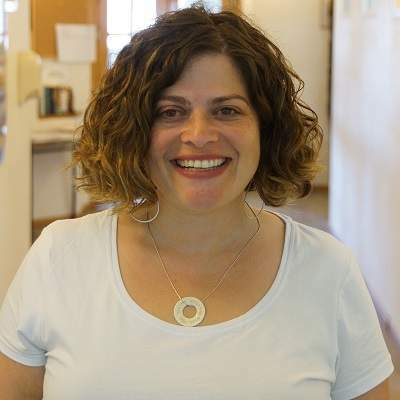 Penny was previously the Director of the Sandy Teen Fellowships at the Federation in the Heart of NJ and the Director of Israel Guidance and a member of the Judaic Studies Department at Westchester Hebrew High School in Mamaroneck, New York. She has taught classes in Halakha, Tanakh, Jewish History and Jewish Philosophy and has been involved in a vast array of innovative education initiatives in schools, summer camps and other experiential education programs. She received her Doctorate in Jewish Education and Administration at the Azrieli School of Jewish Education at Yeshiva University, an MS Ed in Early Adolescent Education from the Bank Street College of Education and has been a Pardes fellow, ATID fellow and Torat Miriam fellow.